The frightening ordeal of surviving a fatal road traffic accident and witnessing the horrific deaths of a wife and son are vivid memories which, sadly, thirty-five-year-old Raul Magana Junior will have to live with. At around three-thirty on Monday afternoon, whilst returning home to Ladyville, the sports utility vehicle in which the family was traveling, along with two other passengers, suffered a blowout. 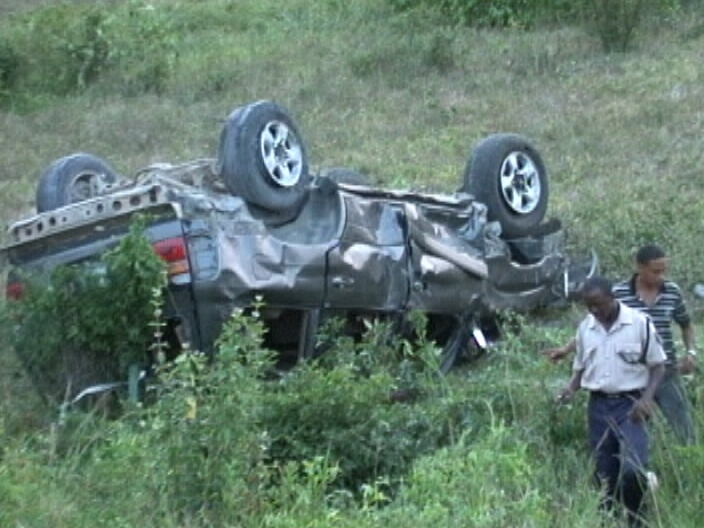 The Toyota Land Cruiser careened violently off the highway and overturned multiple times. 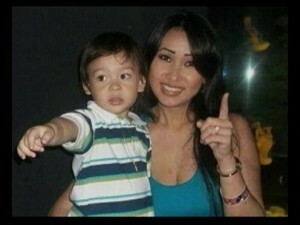 When it finally came to rest, both Lissa Ying Li and her three-year-old son lay dead a distance away. This morning, Magana recounted the harrowing incident to News Five’s Duane Moody. 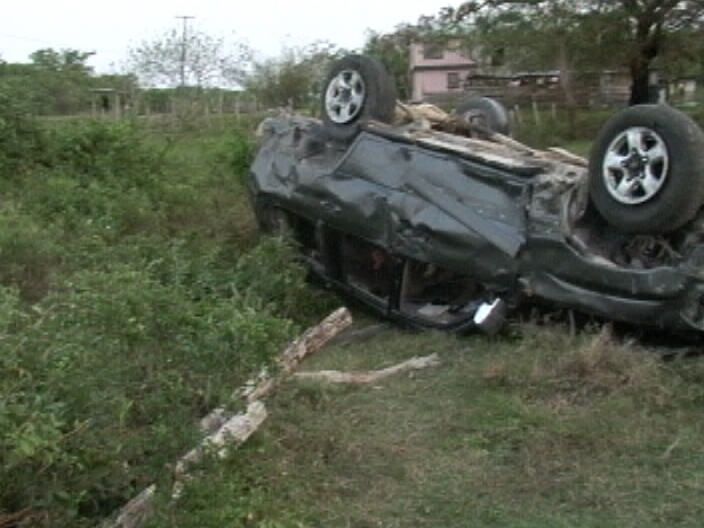 There was a double fatality on the Phillip Goldson Highway on Monday evening when a Toyota Land Cruiser carrying five persons, including a toddler, was involved in a mishap. Valerie Wade witnessed the traumatic ordeal and ran to the assistance of those injured in the accident. 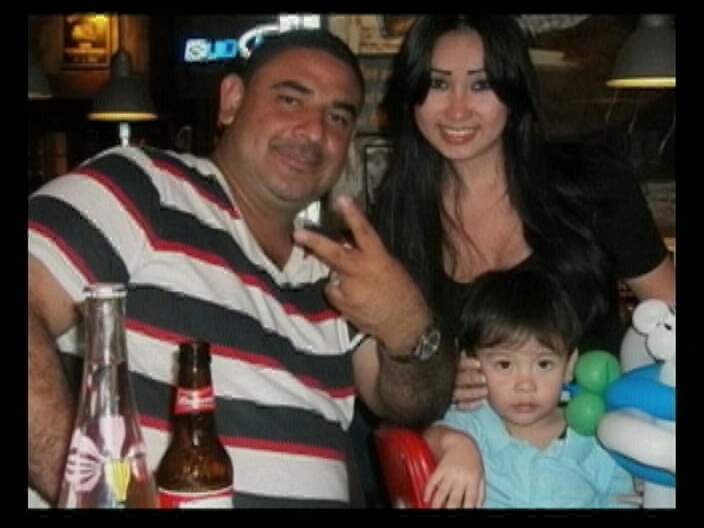 Thirty-five-year-old Raul Magaña Junior, his common-law-wife, Lissa Ying Li and their three-year-old son, Raul the third along with two others were traveling from Orange Walk to Belize City when upon reaching mile twenty-seven in Biscayne Village, the vehicle received a “blow out” on the left rear tire, causing him to lose control and flip several times. 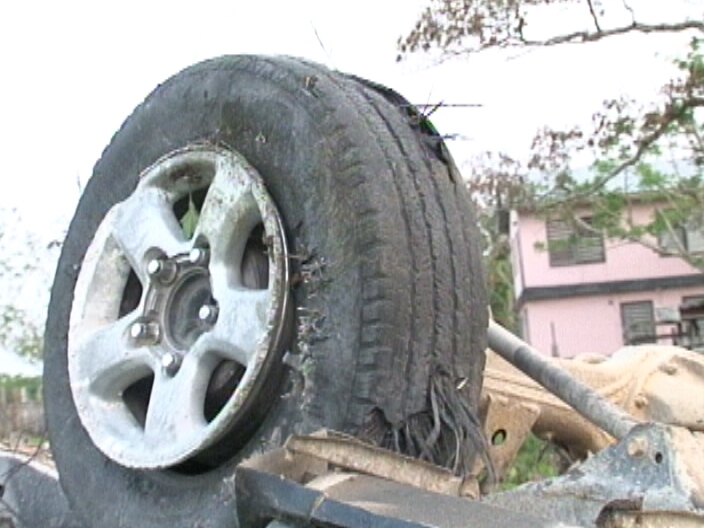 The extensively damaged vehicle ended up in a ditch on the left hand side of the highway. Magaña Junior says Ying Li died on the spot and his only son died in his arms. Magaña says they were all not wearing seatbelts. The tragic incident has left him stunned. My heart goes out to you and your family Raulito, stay strong. God needed two more angels and he took yours. They went straight to heaven. why obey the LAW? SEAT BELTS SAVE LIVES IF YOU CHECK most fatalities are because the persons break the LAW and are ejected from the vehicle and then the vehicle rides them. 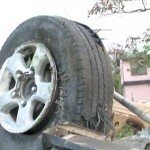 I feel for the families however this is the outcome of defiance of safety legislation. Buckle up don’t be a F##K UP!!! That is the reason the vehicles have seat belts,my condolences for the family. 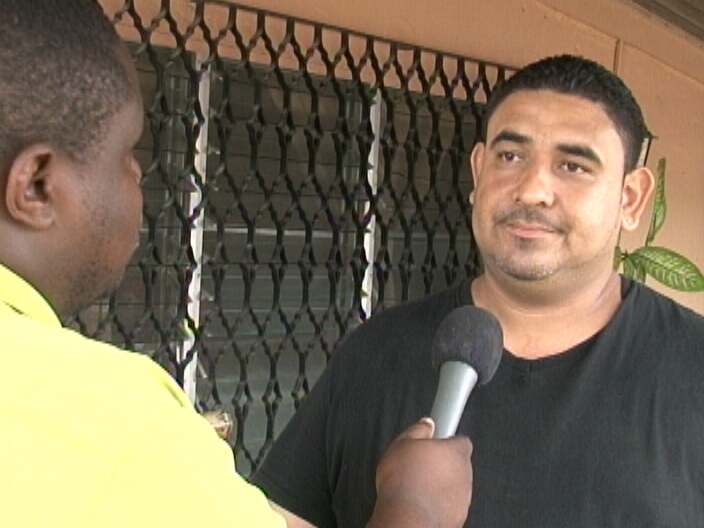 My condolences goes out to Mr. Magana and family for their tragic loss…. However had seatbelts or the child been in a saftey seat perhaps they might not have been ejected out of the vehicle. Very unfortunate incident. Belizeans really should make it a point to put on seatbelts when travelling on the road it might keep them from being ejected in case of an accident.